Dr. Doucette offers many opportunities to advance your ZB studies, from several advanced classes, to Advancing Skills Days, to private tutorial and touch-feedback sessions. ZB 2 is the second course in the Zero Balancing curriculum. Material from ZB 1 is fully reviewed, technique is refined, body positioning is honed, and new fulcrums are added. Students have the 'Ah-ha' insights that lead toward embodiment of the work. Regular chiropractic exams and adjustments lead to a healthier, more flexible life. 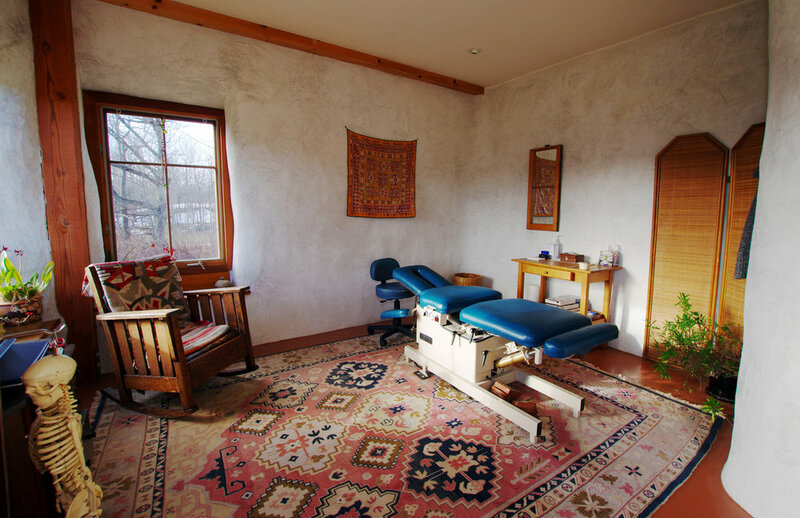 Relax and find comfort in Michele's natural and calming treatment space. We are happy to share our favorite place with guests from all over - either for ZB classes, or a weekend getaway! relaxed Air BnB style accommodations and unique loft apartment options. Waking to Eden is the true story of healing illness and loss through natural health care, creativity, and faith. — Frederick "Fritz" Smith M.D. We respect your privacy and will certainly not share your information with other parties.